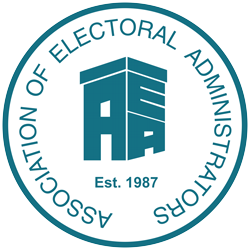 The AEA has a pool of experienced trainers who between them are experienced in all aspects of electoral administration. This page gives you information on all our Open Programme trainers as well as photographs. To contact any of our trainers please email training@aea-elections.co.uk putting the trainer’s name in the subject field. Andrew has been an electoral administrator for 20 years and worked across several London boroughs during that time. Having been lucky enough to be an AEA trainer since 2013, he really enjoys travelling around the country meeting fellow administrators and never leaves a training session without having picked up a few ideas himself to take back to the office. Angela has been employed by the AEA as its Policy Manager since December 2014. She has been an accredited trainer for several years covering numerous electoral topics, although more recently she has mainly focused on polling station training and verification and count training. 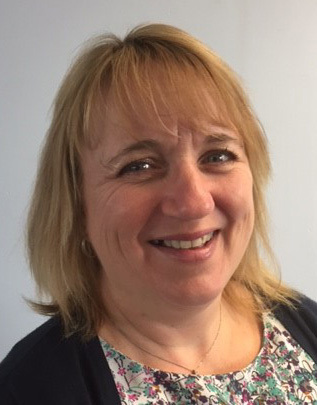 Angela started her career in local government in 1984 when she joined Ribble Valley Borough Council as a Youth Training Scheme Trainee. The majority of Angela’s career in local government has included responsibility for managing democratic and electoral services. 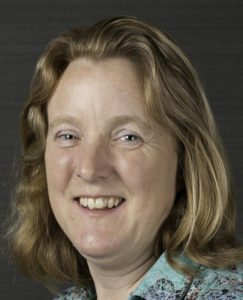 In 1996 she moved to South Bucks District Council, becoming the Electoral Services Manager there in 1997. Angela continued to be responsible for electoral services over a period of 16 years whilst working for Runnymede in Surrey, Medway in Kent and the London Boroughs of Hounslow and Richmond. Angela holds the Association of Electoral Administrators Diploma, is a qualified Chartered Secretary, has an MBA and is a qualified Prince2 Practitioner. Debby has worked in Elections since 1975 as part of a large team in a Metropolitan Authority. She became Electoral Services Manager in a small District Authority in 1983. Debby joined the AEA at the first opportunity in 1987 and found the support invaluable for someone working alone for a smaller authority. To give something back Debby decided to become an accredited AEA Trainer and has now been actively training for the last 20 years. In 1996 Debby returned to Newcastle as Electoral Services Manager where her authority always recognised the positive side of her continuing training with the AEA throughout her employment with them until her voluntary redundancy in 2010. Since then Debby has worked for three years as a Cabinet Office County Lead for IER for two counties and has remained a very active trainer in both the Elections and Registration fields, delivering AEA one day and residential courses as well branch training and several Conference workshops. In recent years Debby has also thoroughly enjoyed the freedom to be able to travel the UK getting back to grass roots delivering polling station staff training to 1000’s of our front line Presiding Officers and Poll Clerks in a variety of Authorities. This has really opened her eyes to the different challenges we face and overcome every time an Election is called. Emily has been managing electoral services since 2008 and has experience of all types of elections and referendums – even including a parish poll! She is currently managing a shared elections team at Babergh and Mid Suffolk District Councils, which presents a range of challenges in terms of scale – geographically and due to the 200 town and parish councils within the two districts. Emily has been an AEA trainer since 2013 and was directly involved in the delivery of IER training during 2014 and 2015. She is actively involved in the Eastern Branch of the AEA, currently as Professional Standards Representative. 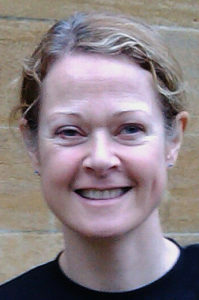 Frances began working in local government when she left university in 2003, at Hampshire County Council. 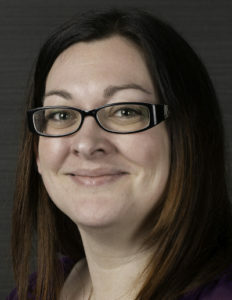 After a period of time as an administrator in various roles at Winchester City Council, she started in elections in 2008 when she was appointed as their Electoral Services Manager. She worked there for 5 years before moving to Test Valley Borough Council in 2013. As part of her role in these local authorities, Frances has developed the material and delivered training for polling station staff, postal vote opening staff, count supervisors and canvassers. She was appointed as an AEA Trainer in 2013 and has delivered a variety of different training courses in registration and electoral administration, as well as a host of Conference Workshops and bespoke count training. George has been Head of Electoral Services at the London Borough of Haringey for ten years and has been involved in elections alongside other posts since first joining local government in Stoke in 1989. He has been an AEA Branch Officer in both London and the West Midlands, is a member of the AEA Board and chaired the London Branch for three years. He undertook a part-secondment to the Electoral Commission in 2012 but one of his main career challenges was as AEA National Chairman in 2013 “on the eve” of IER. His particular involvement in training was sparked in the run-up to the first PCC Elections with more extensive imposition of Supplementary Voting beyond London and the Mayoralties in place at that time. Gina has been working in Local Government for over 18 years, starting with general administration and helping out with elections at Vale Royal Borough Council. 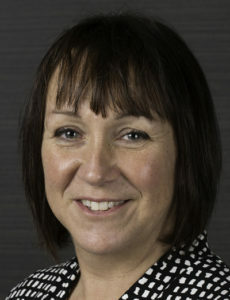 She worked at Cheshire West and Chester Council when it became a unitary authority in 2009 within the Electoral services team and in April 2016, Gina moved authorities and is now the Elections Manager at Stoke on Trent City Council. Gina has been an AEA trainer since 2015, delivered a variety of training courses as well as several conference workshops. Gina holds the Certificate in electoral administration. James has been working in electoral administration for over 15 years. 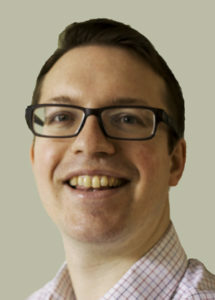 After working at the London Borough of Richmond, James moved to the Electoral Commission where he was the Senior Advisor Electoral Guidance for seven years providing guidance on electoral registration, including the introduction of IER, and all types of elections. He then moved back to electoral administration working at the London Borough of Tower Hamlets before moving to the Royal Borough of Greenwich where he is the Head of Electoral Services. James has been an AEA trainer since 2015 and holds the Certificate in electoral administration. John has been involved with the AEA since its inception in 1987 and has always been active in the training area. He was the editor of the well-received guidance manual on the introduction of rolling registration and postal voting on demand in 2001 and since then has designed or delivered most of the AEA’s courses and spoken at many national conferences and seminars. John has over 40 years’ electoral experience at five dissimilar authorities, including the largest – Birmingham City Council. After taking early retirement, he was appointed as the AEA’s first Training Manager in 2007 before becoming a Training Facilitator, a post from which he retired in early July 2017. 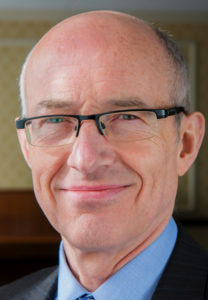 John retired in 2003 as Deputy Chief Executive and Director of Public and Support Services at Norwich City Council. In the latter capacity, he was the Electoral Registration Officer and Returning Officer for the City until 2005 before becoming Chief Executive of the Association of Electoral Administrators. He is also the Chairman of the AEA’s Qualification and Examining Boards. He has been involved in elections for some 35 years and was a former Education and Training Officer of the AEA. In these and similar capacities he has trained on many of the courses provided by the AEA and most recently has been involved in ERO and RO training including bespoke courses and one to one mentoring. In addition, he has acted as the lead trainer for the courses provided for candidates undertaking both the Diploma and Certificate levels of the Qualification. He has also been a trainer for organisations such as the Commonwealth, LGG legal training and ICPS and undertaken training in his role as an adviser/consultant in electoral matters on an international basis in four continents across the world. 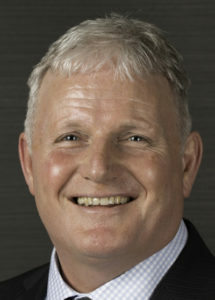 Keith has worked for West Oxfordshire District Council since late 1996, having previously worked for several local authorities in the West of England. His first role was as a Committee Officer, but his involvement in elections goes back to 1982 with his first polling duty and canvasser appointments. Starting in the late 1980s Keith took on other electoral roles with his first DRO appointment in 1989. Since 1993 Keith has had responsibility for electoral services, apart from a very short period of a few months when he was involved in Committee work only. 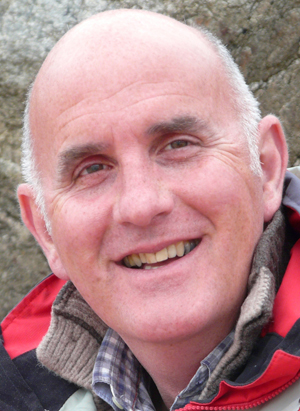 Keith’s role at the Council extends beyond electoral services, and includes all aspects of Democratic Services. Recent experience includes having the last Prime Minister as constituency MP, and the consequent first experience of a parliamentary by-election in October 2016. During his time as a member of the AEA Southern Branch he has served as Branch Secretary and Branch Training Officer, and was elected to a further stint as Branch Secretary in December 2016. 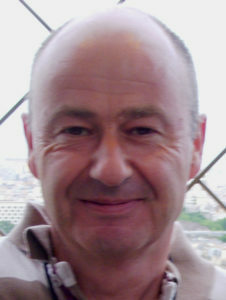 Keith was appointed as an AEA Trainer in 2012. Having worked in electoral administration for over a decade, Laura Lock became an AEA Trainer in 2015 and the AEA’s Training Manager in 2016. During her career, Laura worked at two authorities in Cambridgeshire as Electoral Services Manager and also served on the Eastern Branch Executive in numerous roles. She was a director of the AEA for seven years and served a three-year term on the AEA’s Management Team including being Chairman when IER was introduced. As well as holding the Diploma in Electoral Administration, she is also a qualified Programme and Project Manager, with experience training across all areas of electoral administration. 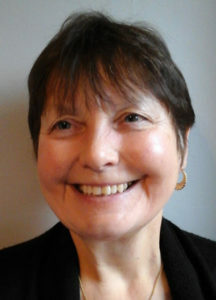 Lea is currently Head of Electoral and Civic Services at the London Borough of Croydon. He has been in local government since the days of lunch breaks and going home at 5pm. 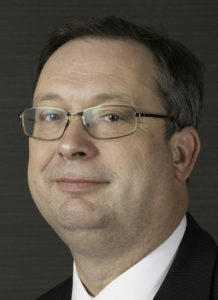 In a varied career, he has worked for a number of local authorities mainly within the Democratic Services discipline, with electoral services being the common theme throughout his career. Lea is an accredited AEA trainer and really enjoys delivering training with the opportunity this brings to meet so many colleagues from the AEA. Lea is currently Chairman of the AEA, a role that he is enjoying immensely. He is still a keen runner despite everyone who knows him advising that he needs to pack in on account of dodgy knees. Lea is always keen to take advice on running and injuries and so you might wish to seek him out in the bar area as alcohol is proven to be the number one pain killer for running ailments. Liz has been involved in Elections and Electoral Registration for over 25 years (I know – hard to believe!!) Liz has worked for Coventry City Council for 6 years prior to that worked at a District authority so has experienced the issues from small district and a metropolitan authority perspective. Liz has previously been Chairman of the AEA. 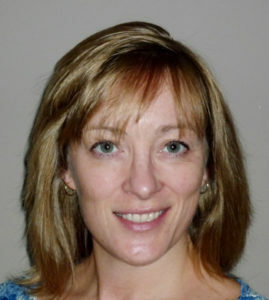 She has also been involved in training with the AEA since 1999 and holds the AEA Diploma. In 2013/14 Liz was on secondment to the Cabinet Office as a Regional Delivery Manager to support the implementation of IER, she has also been a member of the Expert Panel since it started. Maggie began her career in electoral administration in 1990 at Macclesfield Borough Council and then worked at several different local authorities over the next twenty years. After working as a Business Trainer at a large call centre, Maggie moved back into the election world to be a trainer with Xpress Software Solutions. In March 2016, Maggie became an AEA consultant. All her previous experience was quickly put to good use delivering the PCCE and EU Referendum at Torridge District Council. 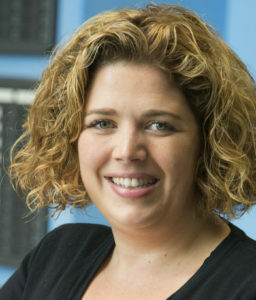 As well as holding the AEA Diploma, she is the AEA Student Adviser for England and Wales and has been an accredited trainer for the AEA for over 15 years. 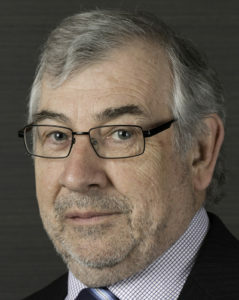 Melvin Humphreys worked in electoral administration for 25 years before his retirement in 2013. He became an AEA trainer in 1994 and was one of the early members to acquire the Diploma qualification. He received the Association’s Annual Award in 2013. Melvin worked for Montgomeryshire District, Powys County and Telford Borough Councils during his career. At Powys he dealt with 112 community (parish) councils and conducted a community review of the whole county. 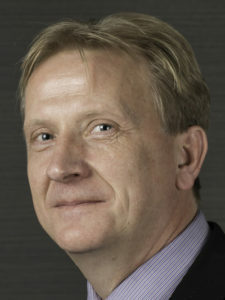 At Telford he was one of the first administrators to deal with a community governance review under the 2007 legislation. It is perhaps not surprising that, in his training for the Association, Melvin has specialised in parish matters and community governance reviews. 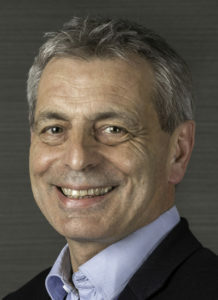 Peter has been involved in the world of electoral administration for over 30 years, becoming a member of the Association in 1998 and serving as its Chairman in 2010. He was appointed as the Association’s Chief Executive in March 2018, having previously served as its Deputy Chief Executive. Peter has been an accredited trainer for several years, writing and delivering national and regional courses to a variety of delegates, ranging from Chief Executives to visitors from overseas. He currently serves as an examiner for the Association and is a member of the highly respected AEA Foundation Course writing and delivery team. Peter has previously worked for two London Boroughs and two district councils and was also seconded to the Electoral Commission on two separate occasions, writing and delivering training to administrators on significant changes to electoral processes. In addition to election-specific training, Peter has delivered courses ranging from effective corporate governance to train the trainer. 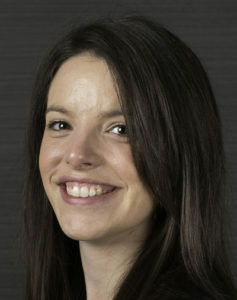 Rebecca is qualified as a solicitor, with a background in private practice, before moving to a career in the public sector. Starting in Democratic Services, Rebecca has in the last seven years moved her focus towards electoral work, reflected in her current role of Principal Democratic and Electoral Services Officer at Uttlesford District Council. She therefore participates in the administration of the election of candidates, but also provide the subsequent support required by those who are elected as representatives. Rebecca joined the AEA pool of trainers in January 2015, and she is consolidating her working practice in electoral registration and elections administration by taking the Certificate this year. Rebecca hugely enjoys meeting colleagues on the various courses she has delivered, particularly on the residential two-day electoral registration course. Rob has been an AEA Accredited Trainer for over 10 years and has undertaken training throughout the UK in this time assisting in the preparation and delivery of a multitude of subjects. Rob joined the AEA in 1996 and part of his remit since becoming a trainer has been to assist in the writing and delivery of national and regional courses to a variety of delegates. He has recently been appointed to the AEA Training Design Team representing them on the AEA Training Board. Rob was a member of the IER Expert Panel that met regularly with the Cabinet Office prior to transition in 2014 and was Chair for one of the major ESM suppliers for a number of years. 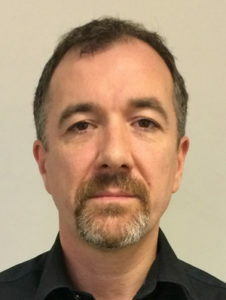 Rob has previously worked for four authorities over a 20-year career and has a reputation for challenging working practices and requirements of members throughout this time. Sarah spent the first six years of her career in London starting at the London Borough of Bromley before moving next door to the London Borough of Croydon to become the Electoral Services Manager in 2013. 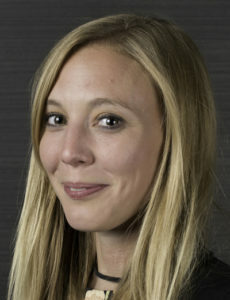 She became an AEA Consultant in 2015 and spent the May elections that followed in not-so-sleepy rural Oxfordshire working at the Vale of White Horse and South Oxfordshire District Councils. She has been an AEA trainer since 2013 and has delivered many of the IER courses. When Sarah is not working on elections she can be found under the sea, scuba diving. She is a qualified instructor and has spent time living in Egypt and New Zealand, ‘living the dream’ teaching people to dive, yet strangely she is always drawn back to the UK for her love of elections. This is after all someone who equates the night before an election to Christmas Eve!